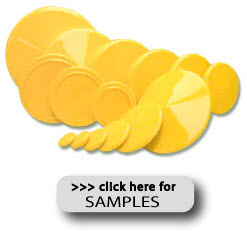 The StockCap line of vinyl flange covers consists of the most superior flange protectors available on the market today. They outperform most other types of flange covers because of their design and material. Unlike many flange protectors that merely protect the internal threads of a pipe, valve, or connector, StockCap flange covers protect the full face of the flange as well as the complete external diameter of the part. All StockCap flange covers are made from a rugged PVC vinyl material that not only resists weather, moisture, and chemicals, but does not become brittle and crack like harder plastic injection molded flange protectors. The flexible material also stretches to go on easily while providing a nice sung fit. As an added benefit, this soft material provides an extra layer of cushion against abrasions. 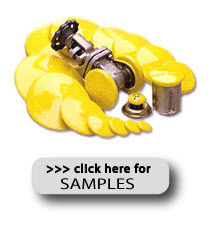 StockCap's extensive line of flange covers includes the following three styles with over 80 sizes. Most covers are in stock for immediate shipment. "Snap Ring" feature offers universal appeal for use as flange protectors or large protective caps. 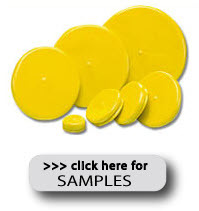 To request a sample or pricing on any of our vinyl flange covers, please visit the product page and click on the link for a free sample.